Rubbish Ruth's Rambles – Page 2 – Roaming around England by free Bus Pass, picking up at least one piece of rubbish every day. ‘Bee Buzy’ in the City. Please pick up #1PieceOfRubbish every day! Day 1: Exchange Square, Cathedral Square, St Peter’s Square, Albert Square, St Ann’s Square. No. 2 son: “Buy yourself some sensible shoes, Mother” but he didn’t specify the colour 😂. Meet ‘Twinkle Toes’ – my new travel companions for Bus Pass Trip 11, starting soon. Author Ruth MajorPosted on 2nd July 2018 8th September 2018 Categories #1pieceofrubbishLeave a comment on Twinkle Toes. 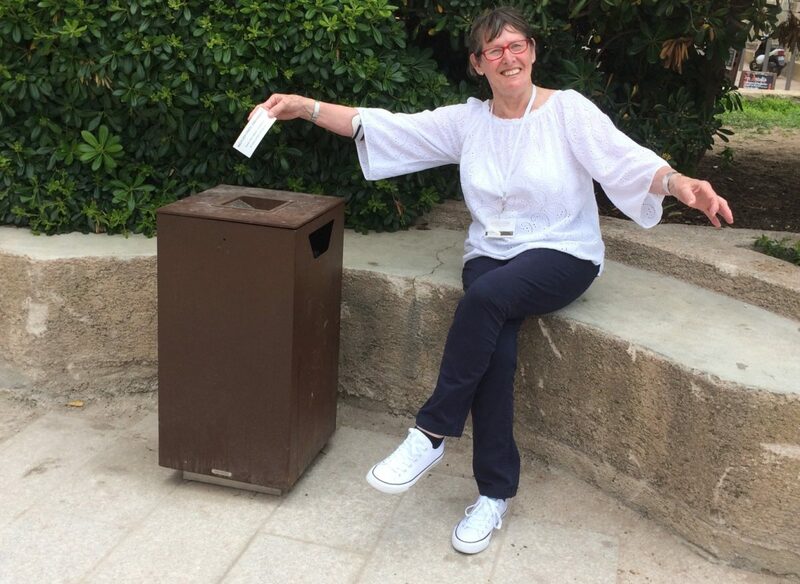 Author Ruth MajorPosted on 26th June 2018 Categories #1pieceofrubbish1 Comment on Manchester!……This is the place…..!